When's the last time you bought a new product only to find you've been duped by slick but misleading advertising? Over the past century corporations have had incredible influence on the world we live in, taking free reign to pollute, collude and mislead mass populations. Now that we have constant access to the truth about the products we use and the ethics of the companies behind them, big brands are realizing they can no longer pull the wool over our eyes. 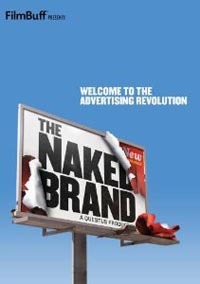 The Naked Brand looks at the Don Drapers of today and how they are changing the world - looking great isn't enough. It's time to actually be great.